As Roger Connors, a widower with no children, ponders whether to pursue aggressive treatment for his cancer, a cryptic note arrives from a long-lost USAF buddy announcing the visit of an acquaintance from Vietnam. The startling news resurrects ghosts of fallen comrades and haunting memories of the great love he once knew. Shocking revelations from his visitor uncover a missing part of Roger's life he never dreamed possible. Peeling back one layer at a time, he delves into a decades-old secret in search of answers and traces of a passion unfulfilled. From the jungles of Vietnam through the minefields of the heart, "Once upon a Mulberry Field" follows one man's journey to self-discovery, fraught with disillusionment and despair but ultimately redeemed by the power of love. Q: What inspired you to write Once Upon a Mulberry Field? A: I started the book as a nostalgia project for my father so that we could capture memories of our family’s earlier life in Saigon, Vietnam, during the war. As I researched that time period to ensure accuracy, I discovered another perspective of the war—as experienced by American service people who fought over there and by their families in the States. I ended up merging these two contrasting points of view, in hopes of providing a more complete picture of that turbulent chapter in the history of both countries. But rather than being a “war book,” Once Upon a Mulberry Field is first and foremost a love story—an ode to the old and the new homelands, and a celebration of the human spirit and the redemptive power of love. 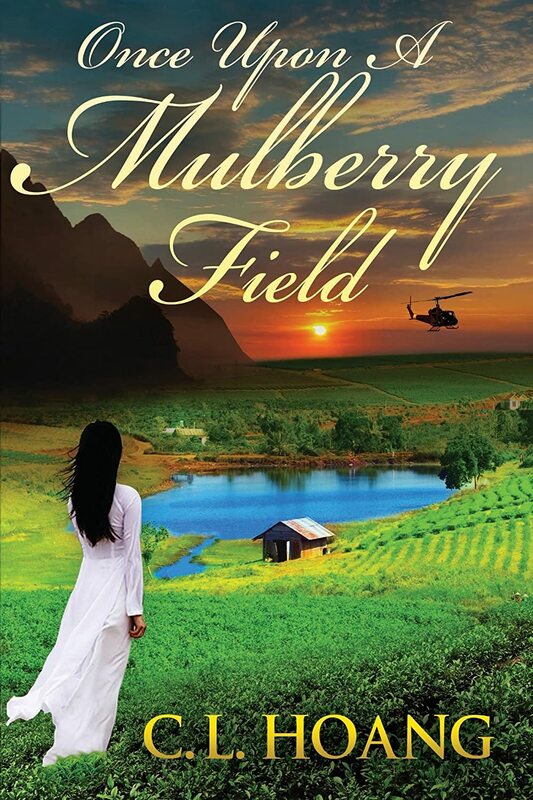 Q: In Once Upon a Mulberry Field, the main character, Roger Connors, is a U.S. Air Force physician sent to Vietnam during the height of the war. Why did you decide to tell the story from an American point of view? A: In an attempt to be objective and to view things from a different perspective from the one I had known growing up, I chose to recount the events through the voice of an American soldier. Needless to say, it was an eye-opening experience. Q: Roger and his fellow USAF buddies have differing views about the war in Vietnam. What can you tell us about the atmosphere surrounding the war and the way it was viewed in both America and South Vietnam? A: In South Vietnam, the war was about preventing communism from destroying the budding and fragile democracy—a matter of crucial survival. In America, it was a controversial and misunderstood war, with the unpopular draft and the constant drumbeat of violence and gore shown nightly on TV news heightening the tension and anxiety among the public. There was widespread misinformation and confusion, fanned by undeniable passions on all sides. Q: There are two women in Roger’s life: the beautiful Vietnamese widow, Lien, and his fiancée at home, Debbie. How would you characterize his relationship with each of these women? In your view, does he feel differently toward one or the other? A: The two women symbolize the clashing worlds confronting Roger. Debbie represents the familiar, secure home setting where things are as they seem—tangible, comforting, as lovely and dependable as the sunny California weather. Lien, on the other hand, is the daughter of an exotic tropical land, beautiful and tragic, who appears and vanishes without warning, like a monsoon thundershower. Roger thus finds himself constantly in the grips of a struggle between stormy passion and lifelong friendship. Q: You interviewed a number of Vietnamese and American civilians and veterans as part of your research for this novel. What did you learn in these interviews and how did they influence the story you tell in Once Upon a Mulberry Field? A: I learned that nothing is ever as black-and-white as we like to assume, and that truth is often inconvenient and blinded by the passions of the time. This insight gave me a more compassionate understanding of the characters and what they went through, no matter what their feelings about the war. Q: Are you working on another novel? If so, what can you tell us about it? A: Vietnam is a beautiful country with a rich cultural heritage. I’d like to capture in writing some of that heritage as I still remember it—ancient folklore that highlights the universal human condition and spirit. It may come in the form of a new novel, or a collection of short stories. Sounds like an wonderful novel, and the cover is breathtaking!